Another name for "Bhindi" is Okra... and "Do pyaza" denotes presence of double the quantity of onions than that found in any other style of preparation. 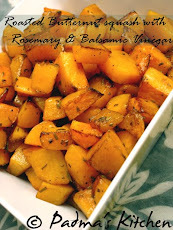 I love this side dish with rotis and rice, actually goes well with both. 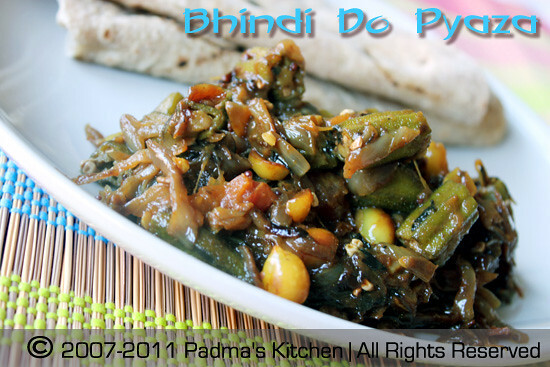 When I have fresh Bhindi handy then definitely make this one to go with phulkas. But my version is little unusual, as I am not adding yoghurt(curd) into this recipe, instead I added roasted peanuts, and the verdict! This is a simple stir fry of Okra and onions with some spices. First and foremost you will need a non stick pan or kadai for cooking this dish and here goes the recipe. First and foremost clean the Bhindi with water, place it on a kitchen towel to drain the excess water and wipe it dry with paper towel. Cut the bhindis into one-inch pieces. Heat ½ teaspoon of oil in a non stick frying pan or kadai and fry bhindis till they are half cooked, about 15 mins. In the end add some salt , turmeric and saute for another minute. Remove from the pan. To the same pan add the remaining oil. Heat and add mustard seeds, cumin. When the mustard splatters, add curry leaves and fry it for 10 secs or so. Then add fried bhindis, chilli powder, crushed cumin. Let all the ingredients mix well and cook in those flavors for about 10-15 mins. Lastly add roasted peanuts and chopped cilantro/kothmir leaves. Saute for another 2 mins, check salt and take off the heat. Serve hot with rice and dal or rotis and phulkas. Bhendi do pyaza looks lovely padma,feel like eating.. Very diffrent recipe... sounds good as I love peanuts.. I am going to try it! Anything with okras are my fav, delicious stir fry..
Award is waiting for u in my blog padma,plz collect it..